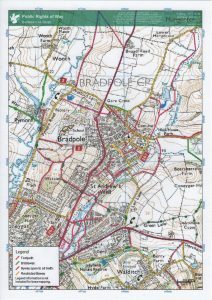 There are 29 “Public Rights of Way” footpaths which cross Bradpole Civil Parish and in total amount to just over 9 km in length. Highway authorities have a general duty “to assert and protect the rights of the public to the use and enjoyment” of paths in their area. They are legally responsible for maintaining the surface of the path, including bridges, and keeping it free of overgrowth. In our case this responsibility falls upon Dorset Highways. In recent years the Government funding of local authorities has reduced and this has been reflected in less maintenance being carried out on our footpaths. 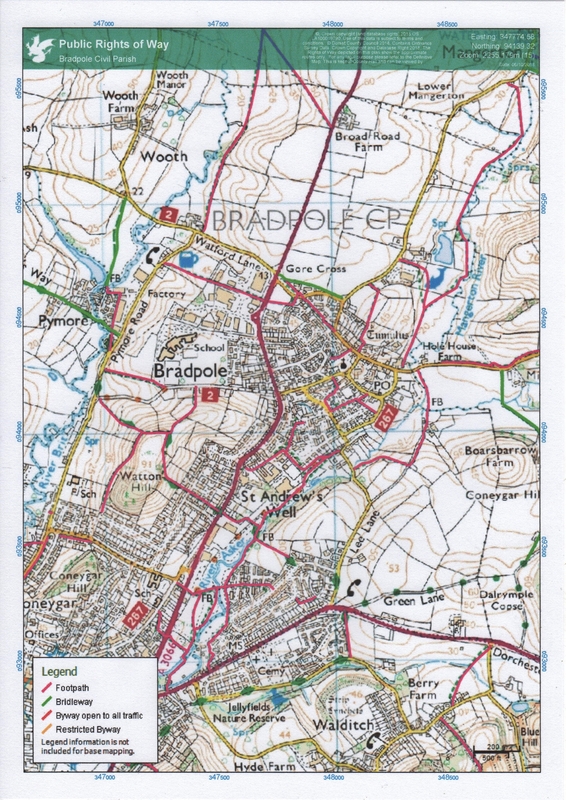 Not all 29 footpaths are used regularly but for those that are a number of complaints have been received relating to the poor state of some of them.